National Bike Summit 2018 – Save the dates! May 28th & 29th, 2018 Ottawa, ON. Our first National Bike Summit in 2017 was a tremendous success and Vélo Canada Bikes has been building on that momentum ever since. Check out the video we produced to share some of the key messages delivered by our stellar group of 2017 speakers. More details will be released soon, but in the meantime check out the event page for a sneak peak of our plans for this year’s two-day summit, and add this important event to your calendar. Registrations will open in early 2018. Email us at info@canadabikes.org if you have any questions. If you share our vision of a Canada where Canadians of all ages and abilities can cycle safely, conveniently and enjoyably for work, school or pleasure, please join us as a sponsor. Together we are stronger! More information is available in our National Bike Summit Sponsorship package. We are honoured and delighted to welcome our first sponsors and thank them for supporting a bike-friendly Canada by investing in our vision. See you in Ottawa this spring! Call For Abstracts Coming Soon! Call for Abstracts for the 2nd National Bike Summit opens February 5th, 2018! The 2nd National Bike Summit will be held in Ottawa on May 28th and 29th and we hope that you will consider submitting an abstract for a poster presentation. Presenters will receive a discount on their Summit registration fee. Stay tuned to the Vélo Canada Bikes website for more details! We look forward to seeing you at the Summit! Winter Bike to Work Day is less than two weeks away, and Canadians love winter! Let’s fill the map with rides, parties, events and people riding their bike. Don’t forget to pledge your ride and consider participating in the gift exchange! Are you hosting an event during Winter Bike To Work Week? Want to help create a bike friendly Canada for all seasons? We suggest a paper copy of the National Cycling Strategy petition to pass around at events. If people have already signed the online House of Commons E-Petition they should not sign twice. Vélo Canada Bikes board member Sara Kirk, who lives in Halifax, Nova Scotia, was recently awarded the Halifax Cycling Coalition 2017 Active Transportation Advocate of the Year award. This award recognized Sara’s contributions to advocating for safer infrastructure for walking and cycling locally, as well as her dedication to pushing the pedal for everyday cycling through her actions as well as her words. The award was one of several given out in December 2017 as part of HCC’s 10th birthday celebrations.Congratulations HCC and Sara! Whether you are in Ontario or not, this is a great opportunity to learn more about cycling policies and best practices in a Canadian jurisdiction and mingle with elected officials, municipal staff, advocates and professionals. The Share the Road Cycling Coalition welcomes everyone to join them in Toronto April 17th & 18th. Lately, we have seen a number of poorly written op-eds being circulated against bike infrastructure. We choose not to post them here, but instead to highlight some of the incredible articles that have recently been published. These are just a few of our favourites, but there are plenty of positive articles out there. ‘A Rolling Walking Stick’ Why Do So Many Disabled People Cycle in Cambridge? Visit your federal Member of Parliament and ask them to come to the Summit or join the All-Party Parliamentary Cycling Caucus. Be sure to let them know about all your cycling-related events. Consider planning a 2018 Ride Your Riding event with your local politicians. 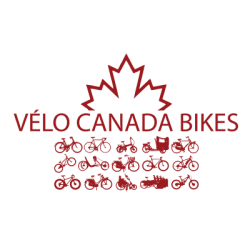 Join Vélo Canada Bikes Today! Add your voice to the call for a more bike-friendly Canada where we, our children and our elders can cycle safely, conveniently and enjoyably within and between communities. Not only will your financial support contribute to our effort to convince our federal leaders to support rovincial/territorial/municipal efforts, but your voice will strengthen the message in the eyes of our elected officials. It’s more affordable than you think!